Afrihost is in the process of buying the 50.02% shareholding that MTN currently owns, says Gian Visser, CEO of Afrihost. Analysts believe different business cultures between Internet service provider, Afrihost, and mobile operator, MTN, led to the early demise of the companies' marriage. In November 2014, MTN acquired 50% plus one share of Afrihost for R408 million, but in June 2016 it announced it would sell the controlling stake back to the executive management of Afrihost. MTN's interim financial results for the six months ended 30 June showed the telco lost R83 million on the buy-back deal, selling the majority stake back to Afrihost for just R325 million. In a letter to clients yesterday, Gian Visser, Afrihost CEO, said: "I just wanted to personally let you know that we are buying back all the shares that MTN own in Afrihost. My fellow directors and I (together with some of our friends and family) are in the process of buying the 50.02% shareholding that MTN currently own. "I am humbled (and honoured) by the trust you have placed in us and will do everything in my power to ensure your trust is well rewarded. I'd also like to take this opportunity to thank MTN for the many miles they have run with us over the past few years. We have learnt a lot and we wish them all the absolute best in the future." ICT veteran Adrian Schofield says: "I would think that the mismatch would arise from the difference in corporate cultures between the long-established multinational and the entrepreneurial smaller entity. This, together with the challenges with Afrihost's service shortly after the takeover, could mean that promised targets could not be met." He believes Afrihost shareholders will benefit from the lower repurchase price, although it remains to be seen what impact the transaction will have on Afrihost's clients. "It is heartening that the undoing of this deal allows the parties to stay in business. Too often, the smaller entity would be buried if it could not meet the expectations of the larger partner," says Schofield. 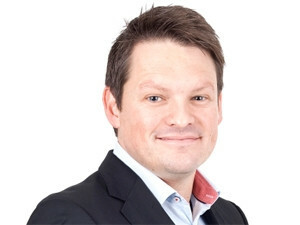 Jon Tullett, IDC's research manager for IT services, Africa, says MTN and Afrihost had a close working relationship before the purchase, with Afrihost using a lot of MTN services. However, he says, that didn't translate into a good partnership. "The business cultures clearly didn't make for a happy marriage. Now, MTN will be able to focus on growing its services business in the SME space - that's a common theme in the industry at the moment - and Afrihost will be freed up to keep innovating in its space, especially now with FTTH [fibre-to-the-home] front in mind." Nonetheless, Tullett points out that eventually, this will be good for everyone - MTN, Afrihost, and their respective customers and shareholders. "It's not great in the short term," he says. "For MTN, there's a financial blip since they're getting a lot less than they originally paid, and Afrihost will have had to re-evaluate its service and network partnership arrangements. But it's the right thing to do, if the strategic fit wasn't there; take the hit now, rather than let the situation get worse, and let each business benefit from the separation." Meanwhile, BMI-TechKnowledge telecoms sector specialist, Tim Parle, believes the intention behind the original deal was built on the expectation of mutual benefits. Afrihost would elevate itself from being a channel partner, or even a preferred channel partner, to being integrated into MTN, hence getting better or preferential access to products and services, technology and economies of scale that would reinforce its position in the market. The deal also allowed MTN higher volumes and the ability to provide innovative products to the market while benefitting from Afrihost's progressive and fresh brand, while not impacting on its own brand, he notes. "My expectation is that Afrihost expected to gain some advantages from the tighter relationship with MTN that did not come to pass. Likewise, MTN expected good business through this channel. Also, I can only speculate that the two corporate cultures did not align as expected, and that the benefits of the relationship turned out to be not as valuable as expected, likely from both sides." He believes both parties will likely see benefit in restoring to the original two companies.